November 1st is our annual Halloween party! Join us in costume for the chance to win one of three prizes (Nerdiest, Spookiest, and Best Overall). Nerdy knitters unite! Join us for snacks, knitting (and crocheting! ), and a screening of one of our favorite shows or movies. We'll feature some of our favorite geeky patterns and nerdy yarns (they exist!) and invite you to bring your nerd knits for show-and-tell. We'll be watching a recent release and doing a drawing for the DVD! 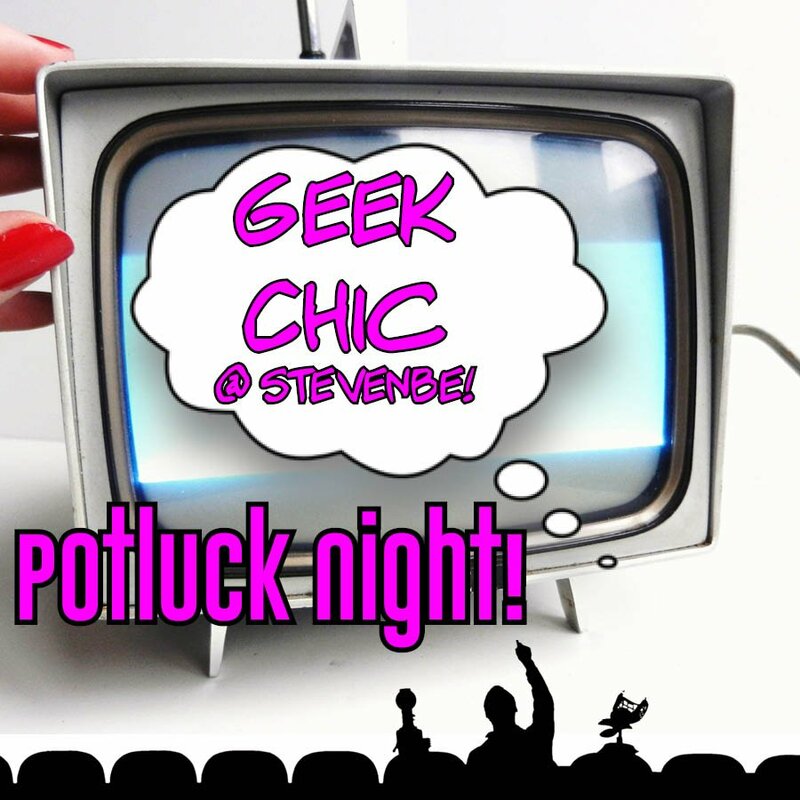 Chair fee is $5.00 or free for StevenBe Members and anyone who contributes to the potluck.